The Puerto Rico App is a tool for visitors to the island. Twins Theory Corp., a company founded and led by Joel and Jonathan Cotto, unveiled Thursday the “Puerto Rico App,” a digital tool that provides tourists with all of the info they will need to plan their visit and fully experience the island’s offerings. “We know that the island faces many challenges and that in the past few years, one of the industries that has maintained growth is tourism,” said Joel Cotto. “So, after conducting several analyzes and surveys, we realized that one of the elements that was needed to boost tourism growth was to develop a digital platform that will facilitate finding the best places on the island,” said Joel Cotto who led the development process that took more than a year to complete. The digital application has more than 500 establishments organized into 12 categories, regions and routes. Users will get in a single view, suggested routes to visit places of interest. Also, the platform allows them to select their favorite places, share locations and develop a custom route that each user has the opportunity to modify to their liking. 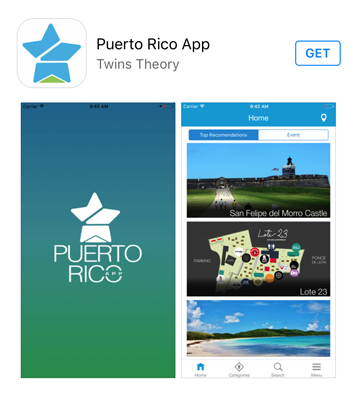 “Puerto Rico App allows us as Puerto Ricans, to express the best of our culture and through technology, unify all this information in one place,” Jonathan Cotto, vice president of Twins Theory Corp. said. “With this tool we can suggest the best experiences so that every visitor will want to return to the island,” he said. Puerto Rico App is available for iPhone and the Android smartphone operating system. Hey Buddy!, I found this information for you: "‘Puerto Rico App’ launched to help tourists plan visits". Here is the website link: https://newsismybusiness.com/launched-tourists-visits/. Thank you.